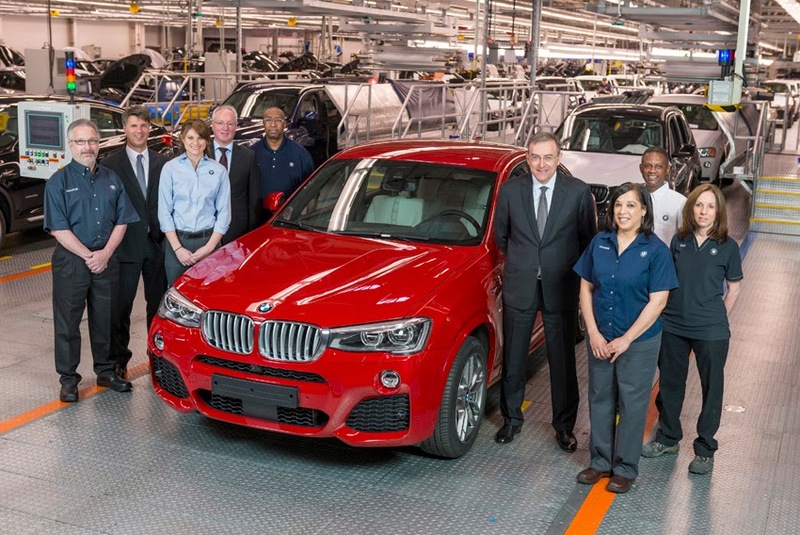 The BMW Group is expanding capacity at its US plant in Spartanburg, South Carolina. capacity by 50 per cent up to 450,000 vehicles from 300,000 currently," said Chairman of the Board of Management of BMW AG, Norbert Reithofer, at a special ceremony in Spartanburg. Among the guests attending the ceremony held on the plant grounds were U.S. Secretary of Commerce, Penny Pritzker; Governor of the state of South Carolina, Nikki Haley; Board of Management member for Production, Harald Kruger; and Head of BMW Plant Spartanburg, Manfred Erlacher. BMW X3, X5, X5 M, X6 and X6 M models have been manufactured so far in Spartanburg, BMW's centre of competence for X vehicles. "With the BMW X7, we are developing another, larger X model (BMW X4), which we will produce at our US plant for our world markets - once again underscoring our commitment to the US," said Norbert Reithofer. "Expansion at the site will create 800 new jobs, bringing the total workforce in Spartanburg to 8,800." "It will also make Spartanburg the largest plant in terms of production capacity in our global production network," he added.